I'd Love to Write a Fictional Story, I need help to understand the Guidelines! I think that the title is quite self-explanatory, but I am going to write a few lines here to explain what I meant to say in the title. こんにちわ、みんな！(I know very little Japanese and a few phrases to write, so that's about it. :)) I am Anneysha and am a long-time Detective Conan fan. I joined this forum today, so I am very new here. 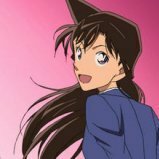 I find this forum to be very welcoming to all Detective Conan fans and a heaven for those who are gaga over this anime. I was attracted by the fan fiction forum over here. I love watching the DC episodes and enjoy the plot as well. One of my first activities when I clicked on the Stories forum, was to read some stories in the pinned discussion, they were wonderful! Before I say anything more and ask for help, I'd like to thank all the contributors of the stories forums and in fact, all the sub-forums in DC forum. I enjoy writing as well. After reading the stories, I felt like writing one myself. I don't know how good will it turn out to be, but I will try my best, writing just needs imagination with a little dose of creativity to make it an enjoyable read. Oh, I'm not sure, but I might want to add some pictures as well, they might be from the anime or hand-drawn (I am really bad at drawing so the latter is quite unlikely, but whatever.) Is it acceptable? I will be mentioning all the credits and sources for the images (and ask for permission, if required). I will be posting soon to provide an update of my story and plot once I receive replies on this discussion. ありがとう！さようなら！ P.S. Like I mentioned before, I know very little Japanese so I would appreciate it if anyone corrected any possible errors. See you later!